Lovely traditional style lanterns in metal and glass. Ideal for your family party or evening BBQ. 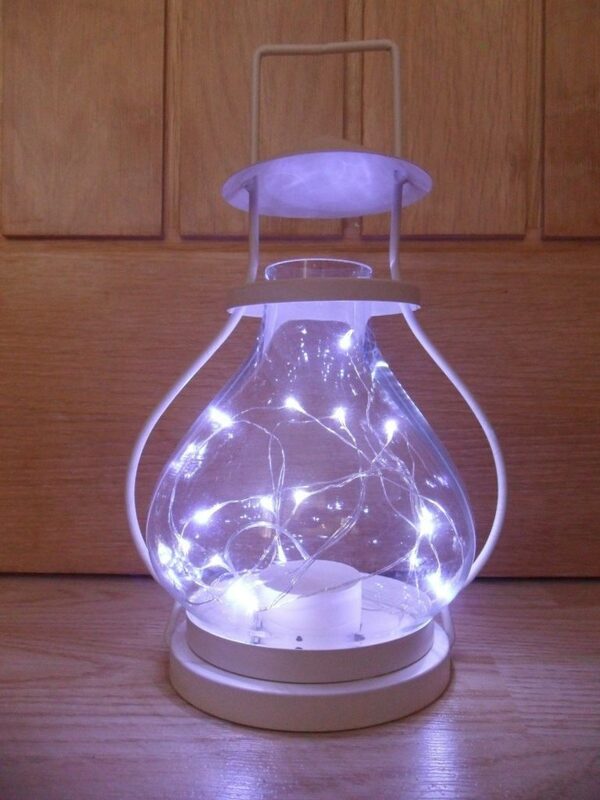 Can be used with tea lights or battery operated LED lights (see photo). Cream / ivory in colour, shabby chic style.